Two Norwegians have undergone training by Al-Qaida in Pakistan to become terrorist contacts in Norway, according to Newsweek, quoting a Taliban source. 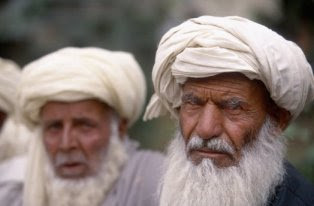 Together with an Australian and nine from Great Britain, the two Norwegians with Muslim background have reportedly been trained at a camp on the border between Pakistan and Afghanistan. Newsweek’s source says he met the 12 recruits in the town of Mir Ali in the region of Northern Waziristan in November 2005. – Their task is to function as organizers for Al-Qaida in their homeland, the former Taliban intelligence chief says to Newsweek. Oh Dat’s a gude one, ey! I never imagined Norwegian Terrorists. No, wait…they wouldn’t just be Norwegian terrorists, they would be Norwegian MUSLIM terrorists. That puts it in better perspective. Norway is a country of 46,161 Muslims. That is about 1% of its population. With the USA’s 9,732,061 Muslims, the odds are that the Newsweek reporter would have encountered 6 or more Americans training in Afghanistan. I have seen NO exclusive interviews with the new Adam Gadahn. Al-Qaida in Norway. It simply shows that these people want nothing less than the world in their pocket. Uffdah! also at Jihadi Du Jour. No user commented in " Norwegians trained by Al-Qaida "